One of the funnest projects we worked on because our kids are such big fans of Launch Trampoline Parks. It was actually their idea for us to work with this great company. 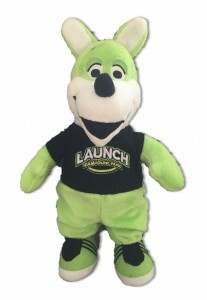 We think Joey the Launch mascot has been captured perfectly in our plush stuffed toy design.